Is the future state of Canada’s technology market already playing out in the Asia-Pacific region? Some sophisticated trends in the mobility and augmented or virtual reality markets seen in the east will inevitably make their way to Canada, analysts with IDC Canada say. IDC analysts Bryan Ma, vice-president of client devices for IDC Asia-Pacific, and Krista Collins, research manager of mobility and consumer for IDC Canada, will be discussing the subject at IDC Directions & CanadianCIO Symposium on May 5 in Toronto. With Ma travelling in from Hong Kong and Collins based in Toronto, the analysts will detail a few ways that looking east can be like looking into a crystal ball for Canada’s tech sector. “China has innovated significantly in terms of business models that the west has yet to emulate,” Ma says. If you want to call a cab or pay for your restaurant meal with your smartphone in Canada today, you can do it. You pull out your device, open an app, and tap a button. If you’re paying, you might rely on your phone’s built-in NFC chip to transmit your credit card details. But if you were to do the same in China, you’d be interacting with a bot on WeChat to accomplish the same tasks – and no NFC chip would be required, as you’d instead display a QR code on your screen to process the payment. Tencent’s WeChat started as a humble chat application in the Asia-Pacific market, but it’s grown into a critical business backbone, Ma says. You can use it to book a taxi, make mobile payments, and for any other number of transaction-based jobs. 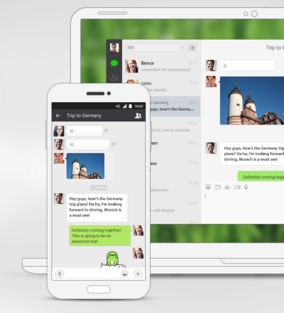 Wechat is a chat application available on desktop and mobile. Augmented reality (AR) headsets will take longer to ramp up, IDC expects. In 2016, less than half a million units will ship. That will quickly climb to 45.6 million units by 2020, chasing the almost 65 million expected shipments of VR headsets. But unlike VR, the first applications for AR will be in the business world. “That technology is still lagging behind VR and the price point is quite a challenge,” Ma says. He points to Canon’s MReal system, an AR solution for enterprises that costs in the ballpark of $125,000. 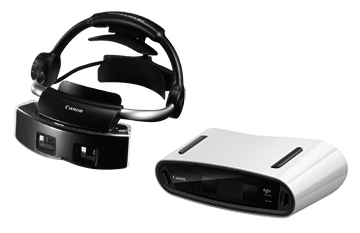 Canon’s MReal augmented reality system is targeted specifically at the enterprise market. Well before Canadians are eagerly strapping on AR headsets, they’ll experience it through the lens of their smartphone cameras, Collins says. Canadian Tire’s WOW Guide layers digital content over its physical brochure with the help of a mobile app. Ikea’s first AR brochure will be coming to Canada in 2017. “It’s a simplistic idea, but that’s where many Canadians will get their first experience with VR,” Collin says. After years of rapid growth in the smartphone market, there are signs that we’ve hit the point of near-total saturation. IDC’s own Worldwide Quarterly Mobile Phone Tracker indicates a total of 334.9 million smartphone shipments in the first quarter of 2016. That’s the smallest year-over-year increase on record for the category, as Q1 of 2015 saw 334.3 million units shipped. As the market nears saturation, IDC also sees lesser-known Chinese brands such as Oppo, Vivo, Xiaomi, Huawei, and Lenovo creeping up towards top-tier manufacturers. As the Chinese domestic market growth slows, more of those manufacturers are looking to penetrate the western market to fuel sales. There’s plenty of reason to think they could compete here. While brand familiarity will be an issue for these firms, Collins says that manufacturers like Huawei already addressing this problem in the U.S. with big marketing campaigns, hiring A-list actors Scarlett Johansson and Henry Cavill to promote its flagship P9 smartphone. While the west often views Chinese companies as making products that imitate other popular smartphones from companies like Apple, companies like Xiaomi are actually more innovative in their business models, Ma says. To survive the razor-thin margins made on their smartphone sales, these companies have instead focused on making revenue from services built on their devices, Ma says. That’s a trend that Apple has been picking up on lately with its Apple Pay and Apple Music services. The IDC Directions & CanadianCIO Symposium is co-hosted by ITWC and IDC with support from the Information Technology Association of Canada.